Matifies complexion while transparency. Skin types All types of sensitive skin. results The complexion is fresh, matte velvety and delicately. Fixing the mattifying powder sets makeup transparency and prolongs the outfit. Ultra-soft texture, light and comfortable. Ideal for sensitive skin. Recommendations for use Is used after applying a concealer or foundation. Using a soft brush, carefully remove the powder in a circular motion to mix the three colors. 2 turns needed for the required amount on the brush. 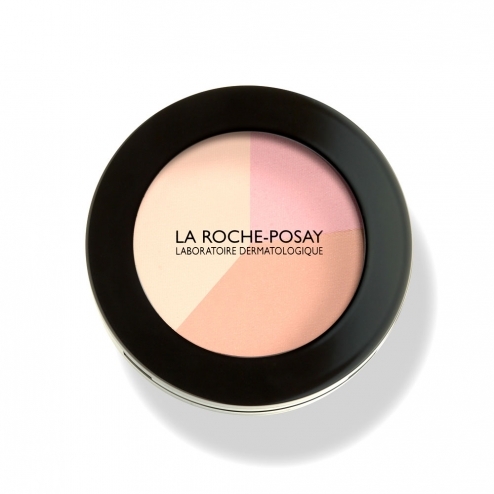 Remove and blend the powder on the middle zone (forehead, nose, chin) and finish with the cheekbones.